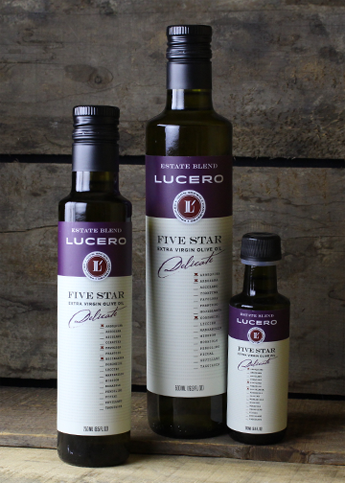 The 2017 Harvest Five Star Estate Blend Extra Virgin Olive Oil is a delicate blend of green aromasand an herbaceous green flavor with ripe tropical notes. It leaves a soft impression on the palate - sweet and fruity with a touch of green. Suggested Uses: Best enjoyed with cooked beans, mild soups, and pasta. Awards: 2015 Harvest Five Star received Prestige Gold at TerraOlivo and Bronze at The California State Fair.